Originally founded in 1997 as a means for high school seniors to participate in a single summer lacrosse tournament, the club was transformed into its present state by Jim & Lisa McHugh. The NEMS lacrosse club was founded to provide the opportunity for Harford County’s finest players to improve their skills and showcase their talents against similar teams across the country. From the original team of seniors playing in a single tournament, our organization has grown to include seven (7) teams organized by high school graduation year; Rising Seniors, Rising Juniors, Rising Sophomores, Rising Freshmen, Rising Eighth Graders, Rising Seventh Graders and Rising Sixth Graders playing in various events throughout the year. Our teams consist primarily of players who reside in Harford County, MD and play for either county public/private schools or Baltimore-area private schools. In 2007 NEMS voted to lift any boundary restriction and welcome any aspiring player to participate in our annual open tryouts. In 2004, the NEMS Lacrosse Club became a Maryland non-profit, NEMS Lacrosse, Inc. We are managed by a six-member Board of Directors consisting of a President, Vice-President, Secretary, Treasurer, Advisory Director, and Senior Team Coach. Each team is headed by one or more knowledgeable adult coaches assisted by either ex-collegiate and/or current college players. Supporting each team are a Team Manager and Team Mom providing administrative and player support. All young women playing in the NEMS organization need to be current members of US Lacrosse to participate. Since we are all members, the NEMS Board of Directors has agreed to use the US Lacrosse Code of Conduct as a guideline for conduct while participating in our organization. It is the responsibility of any NEMS club member, parent or representative of NEMS to read and become familiar with this code of conduct and strive to adhere to its policy. The NEMS Board of Directors maintains the right to investigate and evaluate any infraction to the US Lacrosse code of conduct. The NEMS Board of Directors reserves the right to review any infraction whether it be parent, child or representative of the NEMS organization on an individual case by case basis. The NEMS Board of Directors reserves the right to put forth any reasonable disciplinary action which it deems necessary, up to and including removal from the NEMS Lacrosse Organization. NEMS will continue to have a “Girls First” approach to all and every action in our organization. We will strive to be highly competitive in the women’s game, while maintaining good sportsmanship and a code of conduct representative of fair play, team play, self respect and personal restraint. Why Do We Wear The Cowboy Hat? 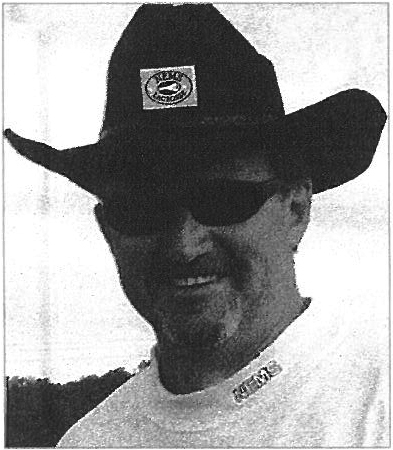 The reason you have a cowboy hat on your uniform is in remembrance of the NEMS founding president Jim McHugh. Jim would wear the cowboy hat at tournaments so he could be recognized from across the lacrosse fields. Jim passed away suddenly in January of 2005, but not before working tirelessly to make NEMS one of the premier women's lacrosse clubs in the country. Jim had three daughters go through the program all of whom continued on to play college lacrosse and coach other NEMS teams.